Recently, US News and World Report ranked Connecticut 4th best among the 50 states in the quality of our healthcare. We have great research universities and teaching hospitals, and pharma, biotech, and medical engineering companies most states envy. That’s what makes this podcast so surprising. This is the story of how the little Litchfield County hill town of Sharon – with a population of 2700 people – has produced some of our state’s leading medical innovators. And it’s been doing so for centuries. 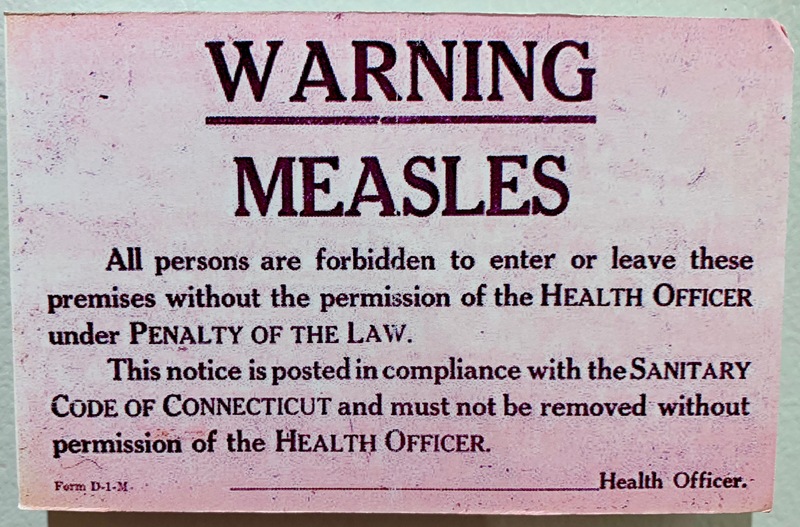 Join State Historian Walt Woodward on a visit to the Sharon Historical Society where co-curators Susan Shepard and Marge Smith tell us about the breakthroughs in innoculation, immunotherapy, and gender equity in the medical field pioneered by Sharon residents. 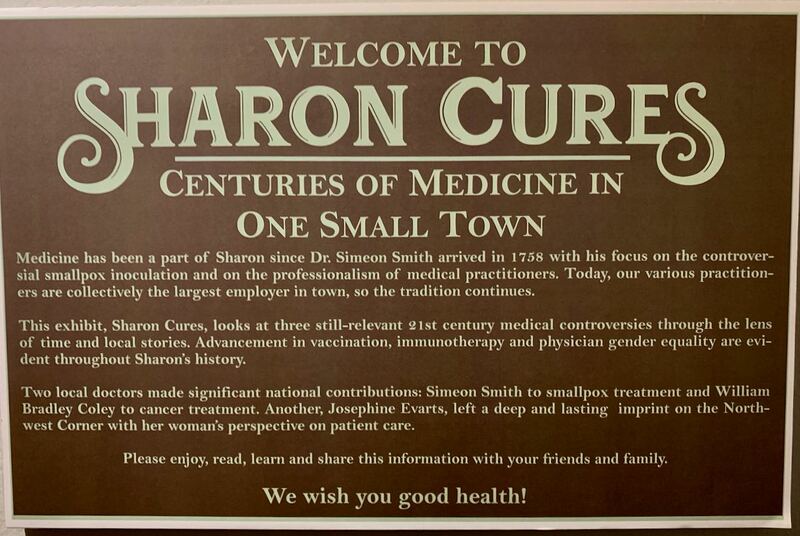 It’s part of their exhibit “Sharon Cures: Centuries of Medicine in One Small Town”. It’s three stories in one, that will surprise, inform, and make you want to learn more about this town of medical marvels.